Matt announces an upcoming ASOIAF Theories Cast, and needs your help to make sure he has all the bases covered! Matt announces that he can no longer participate in podcasting about the TV show, due to the sensationalism presented in S5E06. 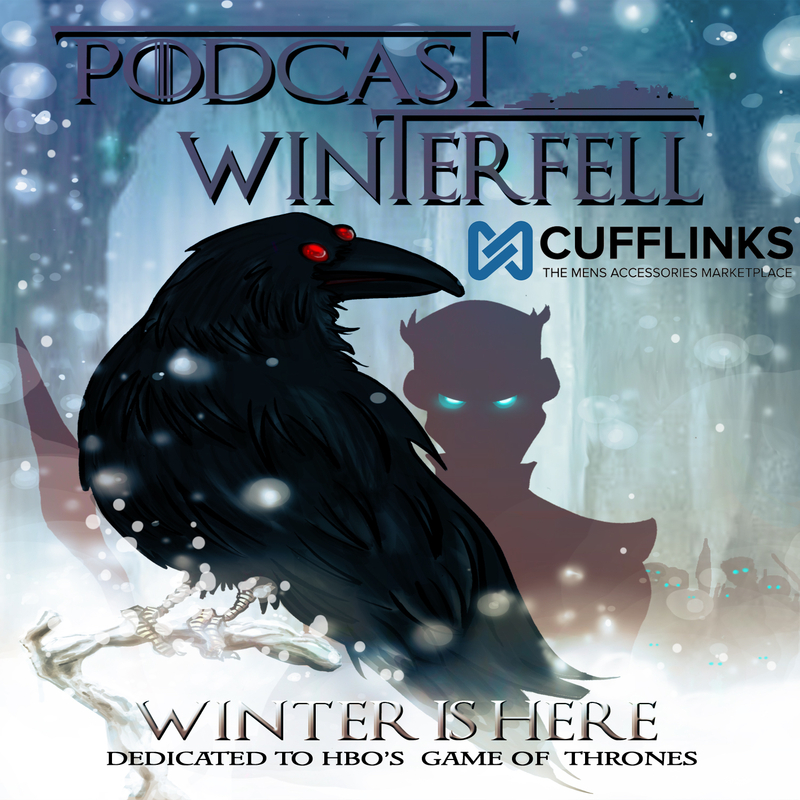 The podcast will continue with Book Reader casts on occasion and podcastwinterfell.com will remain to support the book reader community. Spoiler Alert! This episode discusses events in S5E06 “Unbowed Unbent Unbroken” of HBO’s Game of Thrones. If you’re not caught up, we’ll be waiting for you right here once you are. Otherwise this is the Fan Call-In show which features fans of Game Of Thrones, calling in from all over Westeros and Essos, to share their viewpoints of the previously mentioned episode. Also your 3 words descriptions, Brothelmates of the Week, feedback, and Matt’s musical analysis section Clef Notes! Be part of the Fan Call in yourself on Monday evenings at 9pm EDT while the season airs by dialing 724-444-7444 then 118884# then 1#. All calls taken! Spoiler alert. If you are not current with Game of Thrones on HBO then catch up and come back after you have, unless you don’t mind being spoiled by discussion about events in S5E06 “Unbowed, Unbent, Unbroken”. Matt is joined by NBRs Axel Foley (@WAxelFoley) from Podcast Littlefell, and DJ Timm Hines (@DJTimmHines) from BN4IA.com, as well as by BRs Mike Hull (@fifthcolumnfilm) from The Captain Punishment Adventure Hour and Donald (@DonaldJr) to talk about the aforementioned episode. SPECIAL SPOILER ALERT! At the end of the show (tagged on after the end music) Mike, Donald, and Matt carry on a book-related discussion as it pertains to the episode. Can you describe the episode in 3 words? Send that too! Do you have a favorite coupling for the episode? (Doesn’t have to be a favorite COUPLE, just a favorite coupling!) Submit your Brothelmates of the week too! And don’t forget to participate in the Fan Call-In show! ANYONE can call in and give their thoughts on this episode by calling in on Mondays at 9pm EDT. Dial 724-444-7444 then when asked for a Call ID dial 118884# and then when asked for a PIN dial 1# and you are in! All calls are taken when time allows and all are taken in the order you call in! Participate! Spoiler Alert! This episode discusses events in S5E05 “Kill The Boy” of HBO’s Game of Thrones. If you’re not caught up, we’ll be waiting for you right here once you are. This week Snowlo and Folo talk S5E05 “Kill The Boy” so make sure you’re caught up with the show unless you don’t mind being spoiled about what happened up to or during the episode! Plus a book(ish) discussion is at the end. SEPARATED BY A SPOILER ALERT so no reason to come down on these guys if you feel the discussion isn’t warranted to have about the show. Simply turn off when they warn you. Spoiler alert. If you are not current with Game of Thrones on HBO then catch up and come back after you have, unless you don’t mind being spoiled by discussion about events in S5E05 “Kill The Boy”. Matt is joined by NBR DJ Timm Hines (@DJTimmHines) from BN4IA.com, as well as by BRs Mike Hull (@fifthcolumnfilm) from The Captain Punishment Adventure Hour and Podtourage’s Donald (@donaldjr), and special guest WBBR (wannabe BR) Heath Snowlo (@HeathActor) from The Film List and Podcast LittleFell to talk about the aforementioned episode.